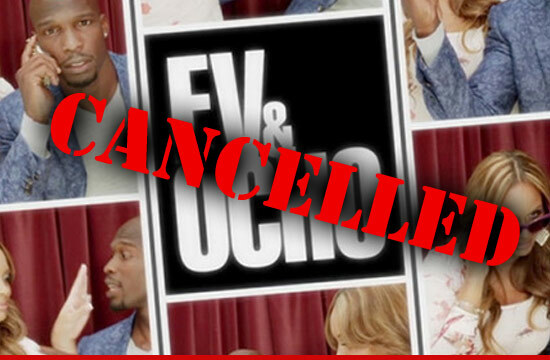 VH1 -- We're PULLING Chad Johnson's Reality Show "Ev & Ocho"
Chad Johnson just lost another job ... VH1 tells TMZ the network is cancelling plans to air Chad's upcoming reality show in the wake of his domestic violence arrest. The series, titled "Ev and Ocho" is already in the can and was supposed to debut on Sept. 3. "Due to the unfortunate events over the weekend and the seriousness of the allegations, VH1 is pulling the series 'Ev and Ocho' from its schedule and has no current plans of airing it." The show was a spinoff of "Basketball Wives" ... which followed the couple's relationship from dating to engagement. The new show was supposed to focus on "the journey of this charismatic and passionate couple's every step, as they prepare to walk down the aisle and into each other's hearts forever."